Author: Taylor, Debbie Set In . . . 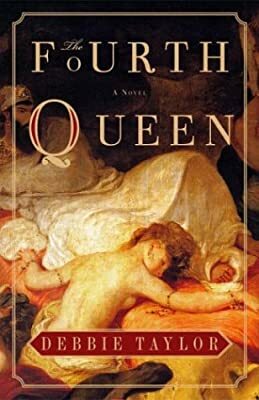 Description: A lush historical epic, The Fourth Queen is the story of one woman’s struggle for power and love in the court of the eighteenth-century Emperor of Morocco. Poetically intense and sensual, it marks the debut of a gifted new author. Beautiful Helen Gloag is determined to escape the cycle of poverty and early death that has destroyed so many women in her native Scotland. Barely out of her teens, she flees her hometown and sets sail for the Colonies on a ship bound for Boston. But the ship falls prey to a band of corsairs—pirates from the Barbary coast of Africa. Helen is taken captive and sent to a procuress in Morocco, where women are sold into the slave markets of the nobility. In the procuress’s house, she is discovered by the witty, soft-hearted dwarf Microphilus, who oversees the Harem of the Emperor himself. Knowing her red hair and milky skin will enthrall his master, he takes her to Marrakech, and the imperial palace. The Harem of the Emperor is a mysterious, voluptuous, and forbidding place, a hive of dangerous political tensions and unlikely friendships. Microphilus, himself a Scot captured by pirates as a young man, has found his fortune in the Emperor’s Harem, where he serves the Queens, including the charismatic, amazonian African empress Batoom, who is his lover. With Microphilus’s help, Helen learns to negotiate the politics of the Harem and compete for the Emperor’s favor. Cast into the luxurious but sinister world of the Harem, Helen is at first terrified of the godlike and often cruel Emperor, but she soon becomes his favorite. Eventually, out of all the Harem women, she is chosen to become his fourth wife—the greatest of honors, since the Emperor may have hundreds of concubines but only four official wives. With her marriage, however, comes the greatest danger. Helen’s predecessor, the other “White Queen,” has succumbed to a mysterious, disfiguring illness and is slowly wasting away. Poison is the most likely cause, and Microphilus knows that Helen is destined to be the next victim. In the Harem, hundreds of women are vying to be one of the four queens, thus setting the scene for the tragic power struggle and love story that ensue.